Want to put the “personal” back in personal productivity? Looking to get a handle on some of the more popular productivity apps on the market today? Our line of products are designed to help you be more productive very single day. The Productivityist Playbook offers a framework to up your personal productivity game, no matter whether it’s your first attempt to level up or you’ve tried countless times before. I’ve added a ton of value to this product because I want you to take your productivity to the next level and become a “productivityist” in your own right. An ebook to help provide you with the basics you’ll need to shape your own personal productivity workflow. I’ll review simple and effective strategies to help you deal with your email, calendar, time management, and more. 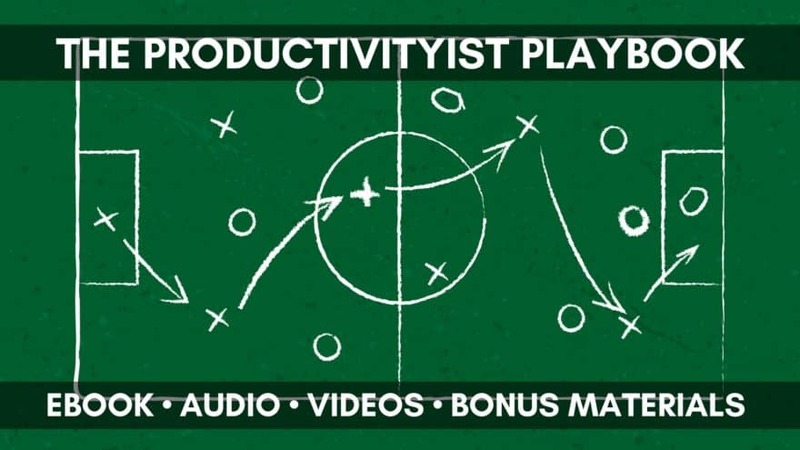 Audio files that will help you get even more out of The Productivityist Playbook. Why? Because my voice will be there to guide you! A series of videos where I dive into some of the tips and tactics that I discuss in the ebook. A base series of 8 “plays” that you can integrate into your life so that you can spend less time guessing and more time going. I’ll also be adding more plays to the mix through regular updates through 2019. A formal introduction to TimeCrafting, a personal productivity approach that I’ve designed (formerly known as The NOW Year™ Method). This methodology is simple, flexible, and durable, allowing you to deal with what you need to do, decide what you ought to do (and ought not do), and ultimately do more of what you want to do. It’s time for you to put the “personal” back into your productivity. The Productivityist Playbook will help you do that…and more. 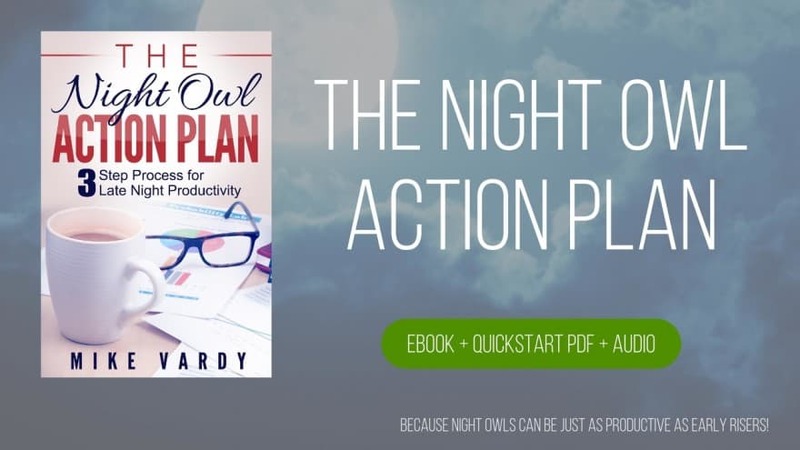 Designed by Productivityist founder and self-proclaimed night owl Mike Vardy, The Night Owl Action Plan offers the tactics, tools, and tips you need to level up your late night productivity so that you can keep up with those early birds. He even offers practical approaches on how to deal with the various circumstances that may have “wired you” as a night owl in the first place, whether it be the schedule of your day job, a new addition to the family, or a long-standing pattern of late nights and not-so-early mornings. With your purchase you’ll get The Night Owl Action Plan Guide, Audio Program, and Evening Quickstart PDF. It’s time to level up your late nights and – if you’re wired to be a night owl – stop fighting your body clock. The Night Owl Action Plan will help you make the most out of the moonlight hours, so order your copy today! Note: If you want to use PayPal to buy The Night Owl Action Plan, click here. Interested in one of our Productivityist Coaching services instead? Click here to review all of our current Productivityist Coaching offerings.